If you have to prepare 3 meals a day plus come up with ten thousands healthy snacks thorough out a day. If you have a kid that can talk more than 4 hours straight everyday. If you have to run around all day to do Christmas shopping with a monster cling on your arm. If you have to struggle to carry many bags plus answer your cell phone plus tell your kid no it is not a good idea to buy pop even though he claims to be thirsty like a dying man in desert(his own word). If you have to answer everybody’s questions in a house at the same time. If you have a husband that comes home to ask you why are you so stress. Now that you are done reading,if you are a mom please clap for yourself,you are just wonderful and amazing for still mentally healthy. *Why do they make pop and put stuff in that is not good for you?Who invented preservatives and harmful chemicals?When will they start taking people to space without charging so much money?How come people in the past don’t know smoking is bad for you?Can you play I spy with me when you are in the shower?Will there be dinner soon?How long do you think you will take in the shower? 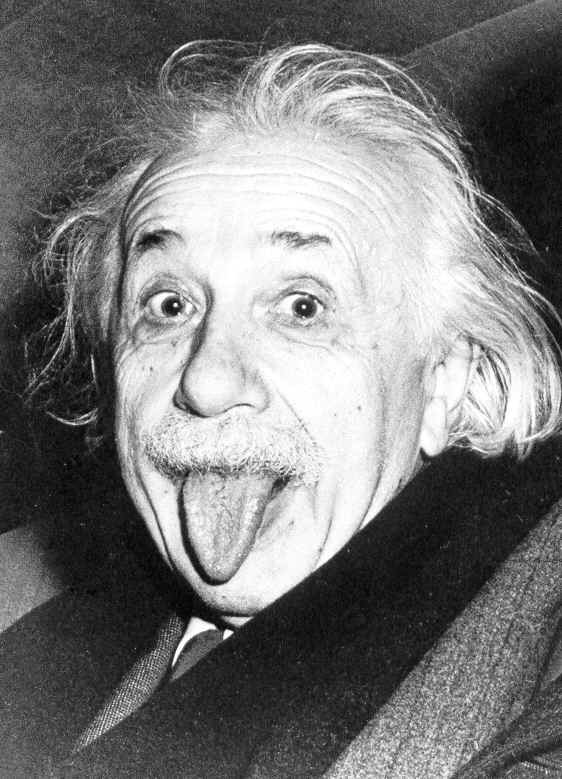 If Albert Einstein was born in today’s multi-channel universe would he have time to give the world his theory of relativity? My husband’s answer for sure is no,he claims it is genetic in males DNA to be draw to TV,internet,blackberry and iphone.Like when I drool over jewelery catalog. We’d tried in the past to take/drag/remove my husband from TV,the resulting conclusion is IT is essential for the survival for their species.